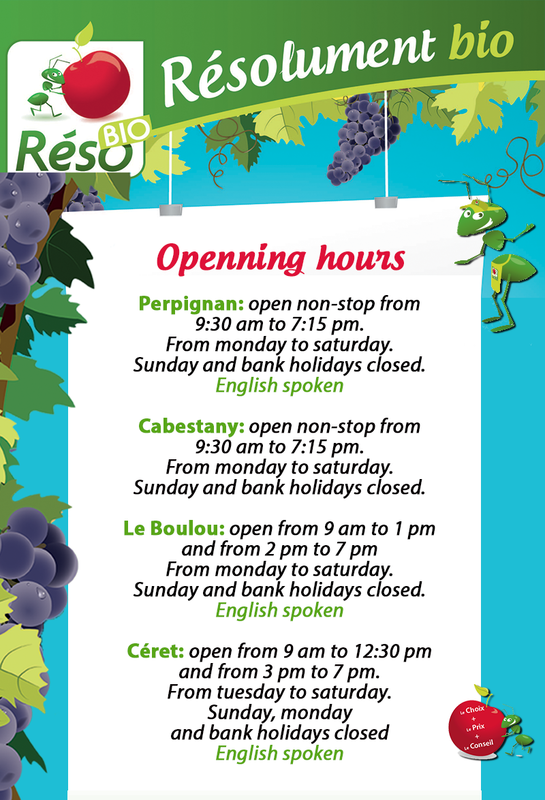 The brand Reso bio with over 30 years of experience and its four stores in the region of Pyrenees-Orientales, has acquired lasting legitimacy in the field of organic and fair trade. 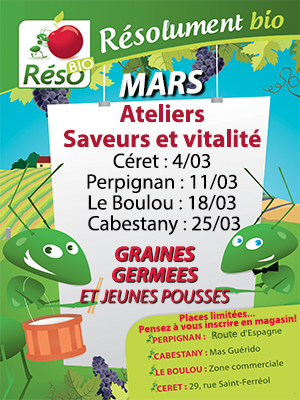 We are located in Perpignan, Cabestany, Ceret and Le Boulou. • Our competitive prices: the purchase volumes often give us access to the wholesale price of our suppliers. • Our independance: we select our own suppliers and share our curiosity and appetite with you ! • Deals fortnightly, with a real discount (15%). • The selected products quality with a preference for organic locals products, Catalonia products (North and South) and French products. • Our hearty range of products: the best brands are here, best price! Cabestany’s shop will be certified in the very near future. 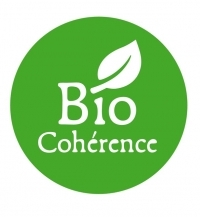 Bio cohérence is an independant label supported by producers, processors, suppliers and consumers. It ensures organic products with more demanding criteria than those of the European specification. The requirement is sharp since it includes a fair social dimension. «Nos prix adhérents», indicated by this label, allow you, when you are a member, to gain an attractive profit for this product. This label indicates that the supplier and Reso Bio crushed margins to thank you for your loyalty. To become a member, you only have to give your name, your postal and email addresses to our cashiers and you just give your name back to each checkout. It’s easy and free! No extra card ! You may also follow us on Facebook to know our news, deals and events.